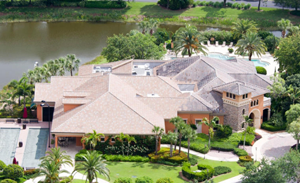 Recognized as one of the top fifty private club’s in America by Platinum Clubs of America, Mediterra has established itself as one of the most exclusive and sought-after county club addresses in the Naples area. Mediterra’s commitment to excellence has led to three Distinguished Emerald Club Awards, more than 10 awards for CBIA’s Community of the Year, the award for Number 1 Community in Florida for Retirees by Best Retirement Destinations and more. Look to Mediterra when searching for a luxury community that is committed to exceptional service and member experience. The Club house creates a social ambience expected of any great club where Member enjoyment is a priority. Members at Mediterra can indulge in fine and casual dining prepared by an award-winning staff. Relax at the Tavern where you can enjoy al fresco dining, enjoy the outdoor fire pit and terrace or step inside and enjoy the recently renovated Grille Room. Exceptional service is provided by team members who know your name. Although recently expanded, the member-owned Club is planning another $12 million expansion and renovation for the Clubhouse in 2018, Mediterra continues to raise the bar. 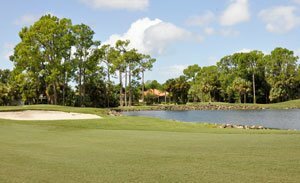 The platinum paspalum grass that was seeded in the $14 million renovation completed not long ago on Mediterra two Tom Fazio-designed golf courses, where golfers will appreciate the distinctive design characteristics of each course that test every part of the game. Certified as the world’s first 36-hole Audubon International Silver Signature Sanctuary, the courses weave their way along nature preserves, lakes and wetlands. The Fazio Design team incorporated rolling bunkers, elevated greens and natural land forms into both golf courses to complement the characteristic of the community. Golf membership is limited to 450 members, so tee times are plentiful and with a practice range. With a double-sided driving range and an onsite Learning Center that offers the latest in technology and golf two time PGA Instructor of the Year, Adam Bazalgette, your golf potential is unlimited. Golf is not the only way to active in Mediterra. A $1.5 million dollar expansion to the Sports Club that has doubled the size of the existing fitness center. This State-of-the-Art fitness center offers equipment including a Life Fitness Synrgy system, which incorporates multiple workout options, and MyZone, a monitor used for group exercise and personal training. Trainers are available for private training or enjoy one over the numerous group classes offered at the Sports Center. Interested in spending time in our beautiful outdoors? Enjoy jogging, walking or biking on the eight miles of trails and pathways that weave through Mediterra, relax at the pool or get competitive with a tennis match on one of the seven Har-Tru tennis courts. Mediterra offers the area’s largest Bocce program with more than 600 members or take advantage of the newest sport in Mediterra, Pickleball! There is something for everyone! The Mediterra private beach club is a favorite among the members and is only a short drive away. 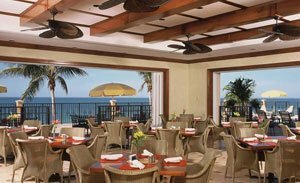 It offers expansive views overlooking the Gulf of Mexico. The 10,000 s.f. Beach Club offers private parking for members, including valet through season, and the added convenience of Cabana service for the beach. If you’d like a sandwich and don’t want to dine in the Club’s restaurant, the chef offers a menu if you want to take something down to the beach. Step up from the beach and take a dip or relax poolside. More than anything, the members enjoy cocktails and our beautiful SW Florida sunsets in the evening. Membership opportunities to the Club at Mediterra is available for residents only. Contact me for more information on membership choices and details.